Barnes & Noble has today issued a press release unveiling that their range of NOOK e-Readers will be arriving in the UK sometime during the Autumn 2012. The NOOK e-reader range will be made available to UK residents through a new website and store at www.nook.co.uk, and the arrival of the NOOK in the UK, marks the first time Barnes & Noble have launched their e-reader internationally. 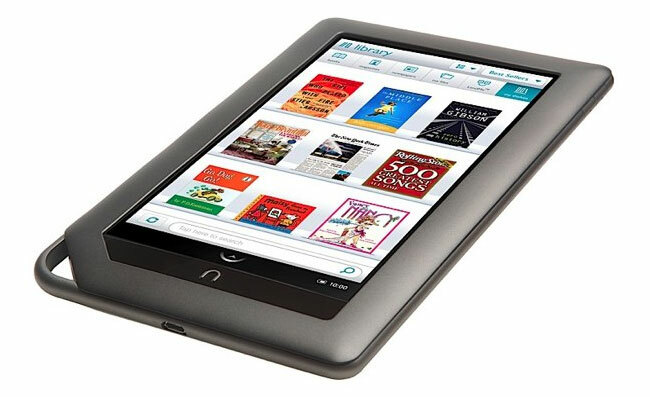 To recap the NOOK Tablet is currently available in the US and Canada in both an 8GB and 16GB version and uses Android 2.3 as its operating system, or as an 8GB NOOK Color powered by a Ti OMAP 3621 @ 800Mhz processor. William J. Lynch, Chief Executive Officer at Barnes & Noble explained in the press release. Unfortunately no information on pricing has been released as yet but is expected to announced in the coming weeks, as soon as information comes to light we will keep you updated as always.